Come and see Good Wine Tours at the Love Wine Festival 2016! This is a fabulous event with more than 30 exhibitors organised by BYWine. There will be around 250 wines to taste, wine walks with Wine Celebrity – special guest, Ab Fab’s Helen Lederer. Helen is also a wine columnist for the Sunday Express and Glass of Bubbly. Love Wine 2016 will take place on Saturday 5th November at the Burlington Hotel in Birmingham City Centre. There are two sessions available, with tickets starting at £20.00 which includes entry into the festival Love-In Masterclasses. (first come, first served basis), a Riedel tasting glass to take home and a goody bag. We would love to see you there so come and say hello. Get the full details including talk details and exhibitors list from the Love Wine website. 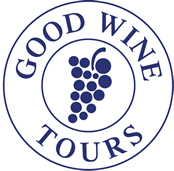 Good wine Tours run exceptional wine tours throughout the year. For our latest tours see OUR WINE TOURS.